Karcher South Africa was voted top distributor in 2008 – you just have to use any of Karcher cleaning products and you’ll know why. ITS Simply Clean, the largest authorized supplier of industrial and commercial cleaning equipment, together with Kärcher, is announcing an extended two year factory warranty on all Kärcher Professional machines, therefore reducing your total cost of ownership and increasing customer satisfaction. *Subject to the terms and conditions. Contact us for a quotation or free demonstration. 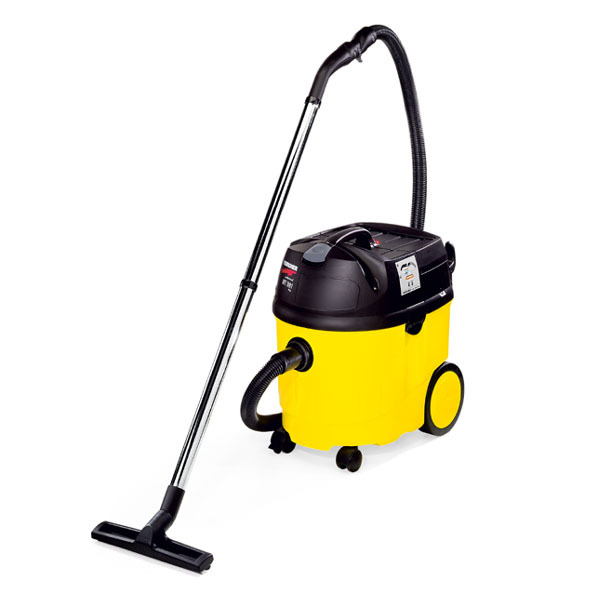 Industrial scrubbers can clean large floor areas in short order, whether it is a tile floor or structured surface. Simple single-disc scrubbers usually have one disc on which the weight of the machine rests. The disc speed is usually around 200 revolutions per minute and disc size typically varies between 35 and 40 cm diameter. Industrial scrubbers with two discs are normally suspended on castors or wheels and several models are offered, like the well-known walk-behind models to the sit-on models. The latter can clean large areas very quickly. There are even escalator-cleaning scrubbers that can work even while the escalator is in operation. Kärcher South Africa is one of the largest suppliers of a variety of different types of industrial and commercial cleaning equipment and machinery. All Kärcher products are backed by a quality guarantee to ensure their reliability and durability for use in specific applications. Kärcher product providers and suppliers are trained and experienced in the use of the different products and will be able to offer you the best advice regarding the types of cleaning equipment that will meet your unique cleaning needs. To find out which types of products from Kärcher South Africa will be most compatible with all your different cleaning needs, you can contact us.